So I return to Sunny California after nearly four weeks in Sunny Australia (and Frigid New Zealand, but don't get me started...) and promptly catch bronchitis. Two weeks of flying lost, and it's now the second week in December. I don't think I'll remember how to land VFR, let alone how to setup the GPS 27R approach coming back into Oakland. This is actually the longest I've gone without some sort of GA flying in several years. (The trouble with doing the instrument rating around here is that the weather is either pretty good (cloudless VMC for literally months on end, except for the thin coastal stratus layer) or just too damn bad to fly a light plane in at all. So not much actual actual -- and, crucially, not a lot of chances to exercise or hone the go / no go and weather-related judgement that are probably more common in places with "real" weather). Only two flights in more than six weeks now, and I feel like I'm making no progress, just standing still (if that). Each of those two flights was a good lesson -- I learned a lot about managing workloads (and controllers) and the fickleness of GPS interfaces each time, and I chalked up more than 30 minutes in continuous night actual on last week's flight to Napa (not written up here, unfortunately) -- but I'm unable to put enough into this at the moment to keep last year's momentum going. Part of this has been weather-related (we've had a bad winter so far by Northern Californian standards), but it's mostly due to my business and contract-related pressures. I simply don't have the time at the moment to do more than turn up, mostly unprepared, once every week or two for a local flight late in the evening and take whatever comes my way in 2SP or 4JG. I'm getting rusty, and my flying shows it. I'm not having any real problems with procedures and things like visualising what to do or where I am, etc., I just keep getting behind the plane and flying sloppily -- and wrestling with the old Death Grip. I still have problems with airspeed and altitude control (and yet I can do hold entries or procedure turns almost in my sleep, and I've been able to look at a strange approach and have little difficulty understanding how I'll fly it for some time now...). And some of the details keep tripping me up -- like forgetting to time the final segment to get the MAP right, or missing the fact that I'm turning off-course on the ILS while I talk to NorCal. And there's the Grace Under Pressure thing again. It's frustrating, but it probably won't change until I can stablise my current contract and job situation (the good side of this is that with the busyness comes the income that keeps me flying :-)). The workload also means the diary suffers -- it'll probably miss a few more flights in detail as well. Oh well. What does an instructor do on those proverbial rainy days? I don't actually know. But I do know that over the past few rainy weeks John managed to dream up and chart a new approach into Oakland: the Oaktown VOR/DME RWY 15 approach. Oakland's not exactly hurting for approaches -- I count at least fifteen separate approach plates for KOAK, along with a dozen DPs and eight STARs all specific to Oakland -- but it's still a useful addition, actually filling a real need. When the weather's bad and the big boys are landing on Oakland's runway 11 rather than 29, the approaches to Oakland's runways 9 intersect the ILS for 11, meaning long delays for the GA fliers. Runway 15's big enough for an approach, and with a bit of care on the missed, it'd give us all a nice alternative way back into Oaktown during bad weather. 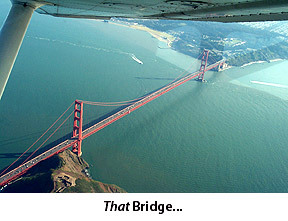 We've tried it on the sims and did the early parts once on an actual flight (in late-evening VFR) with NorCal and Tower's unwitting approval (well, they didn't tell us to stop). It's quite a flyable approach, in fact. The sources of the intersection names are left as an exercise for the reader (local knowledge helps). I shouldn't have to say it, but: absolutely not to be used for navigation. Void where prohibited. Some assembly required. Your mileage may vary. Don't try this at home. Objects in mirror are closer than they appear. Etc. Doug Johnson -- Lt. Col. Douglas Johnson, USAF (Retd.) -- a man who piloted B17s over Europe in WWII, flew fighters in Korea, and who later helped form the Alameda Aero Club -- died last week after a short fight with cancer. He'll be greatly missed. Doug was for a long time the maintenance and procedures backbone of the club, and was a mentor and tutor to many of us who became pilots and instructors through the club (you can glimpse him behind the scenes here and there in my original flying diary -- Doug did a lot to encourage me and keep the planes running during that period). Doug had the sort of common sense and experience that a club like the AAC needs, and (lucky for us) over the years he ensured that most of that was passed on to others. Doug had a sharp mind -- even in his late 70's he actively adopted things like email and the web before many of the rest of us, and he was always one of the first to understand how to use things like the new web-based scheduler effectively for the club, or how to use spreadsheets for maintenance tracking and rental rate calculations, etc. Years ago when I was the club's webmaster and helping to set up the new scheduler, I'd receive a steady trickle of email from him commenting on a particular page or suggesting a new external link or whatever (he particularly delighted in making fun of my inadvertant Britishisms). Doug often described himself as a "redneck from backwoods Arkansas", but he was also the sort of guy who drove a small Toyota, liked the Bay Area life (while still pining for those backwoods...), and who railed publicly against the US's isolationism on Iraq (he once said he couldn't understand why the US didn't defer to the UN on Iraq -- "Wasn't the UN one of the best things that came out of WWII? Wasn't it one of the things we fought for?" -- and proceeded to wonder out loud what it would take to get Colin Powell to run for president...). He and I sometimes sparred in the club over things like tax policy or welfare (he was predictably a lot more conservative than I am), but he was always funny and friendly about it, and he was better at conceding his opponent's points than I'll ever be. Doug was also reputedly one of the few people to actually get away with replying to a lightspeed clearance from clearance delivery at Oakland with a (very) obscene variant of the classic old "Very impressive. Now how about giving it to me at the speed at which I can write rather than the speed at which you can read?" line. When I once asked him about it a few years ago, he just grinned and said in that distinctive Arkansas voice of his: "Boy -- I ain't saying. But if that's the worst you can dig up on me, you ain't trying!". Well, almost. After several weeks of cancelled flights and iffy flying, everything comes together this evening and I seem to fly the best I've flown in months. I nail the ILS back into Oakland to ATP standards, and the two approaches and associated holds at Tracy (KTCY) also go well. 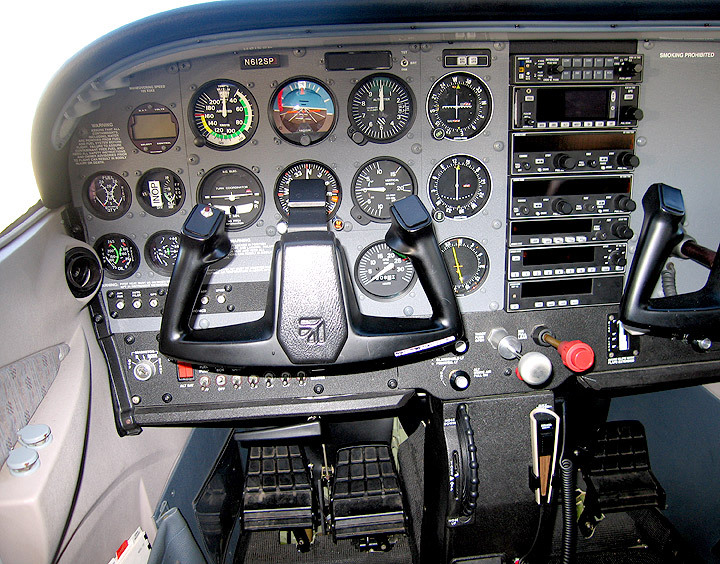 I feel on top of the plane and the procedures, and keep the stupid mistakes to a gratifying minimum. The difference? Firstly, I got off work early, spent some time preparing, and we started an hour earlier than usual. Normally I can't even turn up at the airport much before 7pm, meaning we're often still at it at 10pm, which dulls the mind for me if I've spent the previous eight or more hours down in Silicon Valley then driven for two hours to get back to Oaktown just in time to fly. Things were much more leisurely this time. I'm trying to arrange for the earlier exit from the Silicon Valley job on Tuesday to become permanent. We shall see. Mostly, though, I suspect the improvement came because I cheated. Well, not so much cheated, as used the autopilot strategically during the early part of the flight to keep headings under control automatically while I concentrated on altitude, power, airspeed, and the procedures. This worked a dream -- I'm hoping the lesson will stick so the next time I do it all uncoupled I'll be more savvy about control -- and since I have fewer problems with headings than the other aspects, it's not such a bad strategy (it was John's idea, actually). I did the Oakland ILS and the last GPS approach uncoupled, but it was a good lesson learning how to get George to drive us around a hold or intercept the VOR-A inbound with a bit of knob-turning and situational awareness. It's magic. It's a Real IFR kind of day, so we file using DUATS. I look at the charts and pick V195 SGD V108 STS as the route; it's about 80nm for what would be a 40nm flight under VFR, the extra being due to the usual victor airways and feeder routing contortions, but nothing too onerous. John just smiles and says he has a feeling we might get something a little different. Half an hour later sitting on the ramp in light rain the clearance comes back from Deliverance: heading 090 then vectors to V244 ALTAM V334 V108 STS direct... i.e. the long way round, a 130nm trip for the 40nm direct flight. Even as I'm getting it down from Clearance I understand why -- NorCal's got the main Bay Area airports going on the SouthEast flow plan rather than the much more usual Westerly flow plan, and there's not a hope in hell that they'd route us straight into the incoming. Wish I'd thought of that myself... (not that I'd have filed any differently, but I'd have been better prepared). A good lesson in real-world IFR. Later, even that plan gets amended on-the-fly, and once again I curse the KLN 94 as it just sits there staring blankly at me as I make yet another silly input mistake in IMC. This unit is even worse in some respects than the GPS 530 -- in some cases nothing you can seem to do will save the loss of several minutes worth of keystrokes due to a stupid blunder, and the unit rarely tells you in any coherent fashion what it is you've done wrong. I guess I'm just going to have to get better at getting it all right the first time. And this is with a unit whose manual I've read completely, several times. Urgh. We depart Gnoss VFR for Oakland and do a bunch of airwork over San Pablo Bay before calling NorCal and heading back to Oaktown. The first thing I see when John tells me to get out from under the Cone Of Stupidity over Richmond is a flash of lighting out over the Golden Gate. Hmmm. The way ahead looks dark, grey, wet, and uninviting, but the horizontal visibility is OK, and the ceilings surprisingly high despite the constant rain. And no one's going missed due to the weather yet, at least not as reported by NorCal. So we decide to get back as quickly as possible before we get stuck in the storm coming across the Bay at us; we can always divert to Concord if it gets too bad. We do the Oaktown VOR/DME 15 approach all the way back to runway 15 in the rain; I land in a stiff variable quartering tailwind in increasingly heavy rain. The VOR/DME 15 approach is -- once again -- a very flyable approach; here's hoping that it, or something like it, might one day be available instead of the (not-as-usable) approaches for runways 9. As we're tying 2SP down in the rain and gloom, I can't help muttering about the weather and Mad Dogs and Englishmen. Almost as I'm saying this -- with the storm still directly above us -- we watch a Lancair depart noisily for the north, straight towards the worst of it. We can't tell if it's VFR or IFR (the former, by the looks of the departure path), but it looks suicidal. Hmmmm, again. ...or some such mixed metaphor. A 10am flight in 2SP (I'm not even sure I can fly that early -- I'm still unused to being able to do a preflight without a flashlight, and I've done so few daylight landings in the last few months that I keep making bad jokes about not being day current...). Another interesting sky with moderate turbulence and some serious windshear at all altitudes (I have trouble holding altitude within 200' for significant portions of the flight; headings suffer similarly). 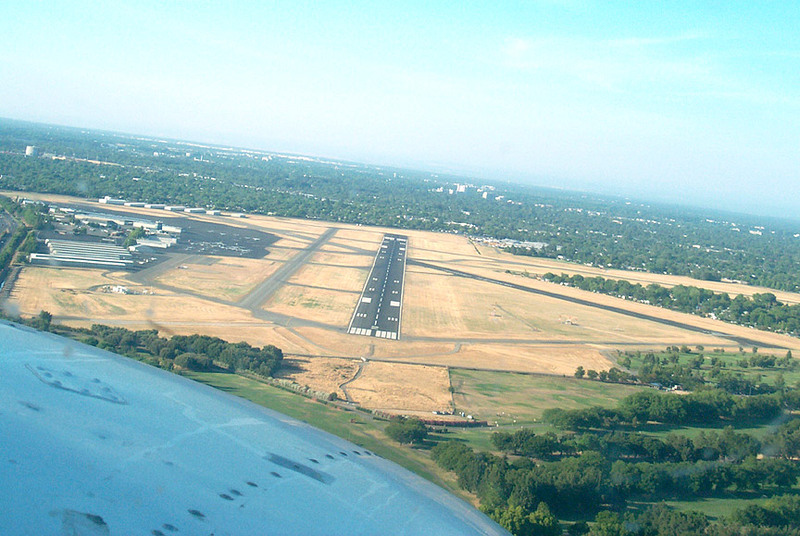 A quick semi-VFR jaunt over to Concord (KCCR), then the Buchanan 7 departure (REJOY transition) from Concord for the GPS RWY 20 approach at Vacaville / Nut Tree (KVCB), with a rather iffy circle-to-land on Vacaville's runway 2 in a stiff breeze (I'm learning a healthy distrust of circle-to-land procedures), then the SOKOY 2 departure back to not-so-sunny Oakland and another bash at the Oaktown VOR/DME RWY 15 approach. The most galling part of an otherwise pretty reasonable flight was getting a lot of the plain VFR bits wrong -- forgetting to report a 2 mile final for Concord tower on the VFR approach, bungling the base-to-final turn at Vacaville, forgetting to check the transponder and lights before takeoff, etc. Luckily I got most of the IFR stuff right(ish). John's started talking seriously again about the checkride -- the whole trip-to-Concord thing is to get me familiar with the place, as it's where the likely DE, Richard Batchelder, is based (Lou Fields is unfortunately out of the picture at the moment due to medical problems). This sounds appropriate -- I feel like I'm flying as well now as I was before I had to go to Australia and before I lost the momentum; and I also feel like I actually know quite a bit more (especially about GPS units and autopilot usage) than I did back then too. We shall see. As I'm leaving the airport for home after the lesson, yet another thunderstorm breaks out, with torrential rain, lightning, etc. As the breathless reports in the local media never let us forget, this is the third thunderstorm of the year -- we're already running at 150% of normal annual storms!!!!!!! (Urgh. Sorry. But if I see one more damn self-dramatising and self-absorbed report on the local TV news reports about the "immense storms" bearing down on the Bay Area, I think I'll scream...). I Have No Life, Part 43: Saturday Night, Another Simulated Checkride. 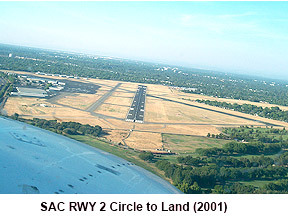 The Buchanan 7 departure / REJOY transition out of Concord (KCCR), the ILS RWY 2 into Sacramento Executive (KSAC), the VOR-A into Rio Vista (O88) with circling (urgh! ), then the GPS 19R back into Concord. Plus sundry holds, partial panel stuff, autopilot coupling, etc. It goes well, mostly at or above PTS standards, and I keep the stupid mistakes to a minimum. I feel reasonably confident again -- more so now than before I had to go to Australia -- and we decide on a potential date for the checkride, modulo Mr Bachelder's availability, etc. It looks likely to be March 25, but this isn't set in concrete yet. Once again, I'm somewhat appalled at how badly I fly VFR nowadays, making simple errors on the approach into Concord and taking way too long to get my bearings visually when coming back over the Oakland hills into Oakland. 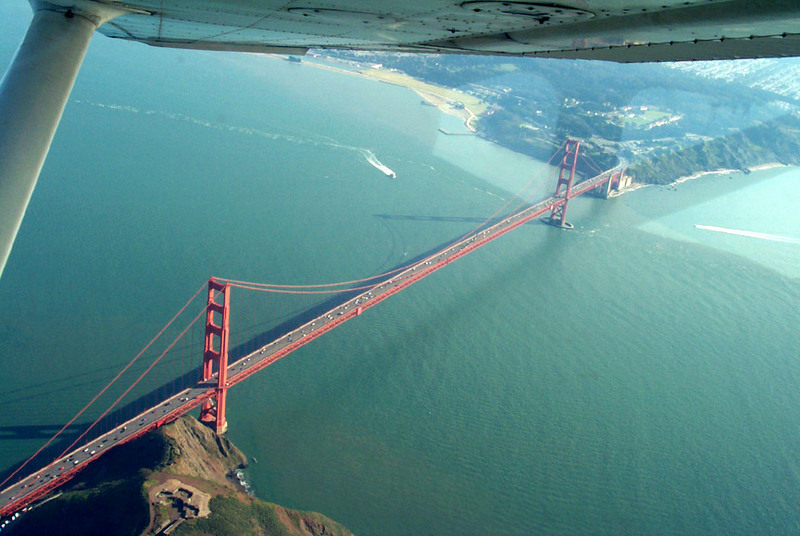 I get to combine work and play by doing some formation shooting in Ginny Wilkins's 172 (with Ginny as pilot...) for the club and for Alameda Magazine with Dave Penney's twin Texas Taildraggers, 31V and 36B over The Bay, Marin, and the Golden Gate. 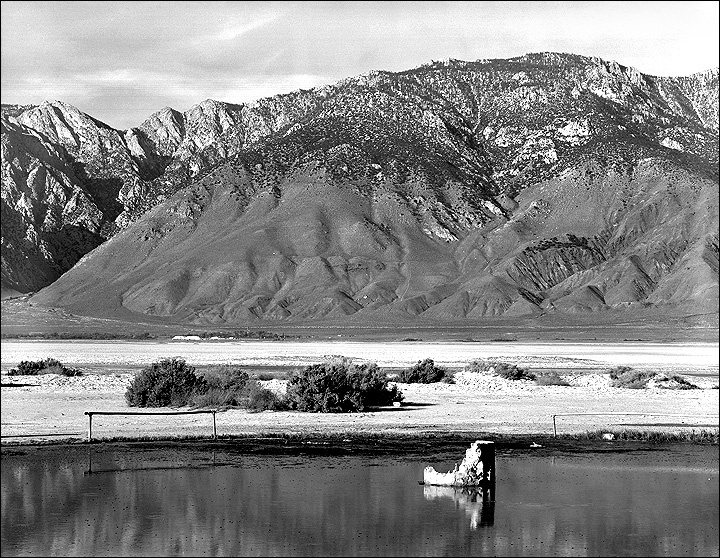 Dave piloted 31V, Ben Freelove piloted 36B (with Gabe Schlumberger as co-pilot and second photographer). I meet Richard Batchelder, my Designated Pilot Examiner (DPE, or traditionally just DE), as he comes across the apron from an earlier checkride. He's pretty much what I'd been told to expect -- friendly, affable, larger than life. And late. I've arrived at Concord airport (KCCR) in 2SP at least 30 minutes early; he's returning from the previous checkride late, and by the time we get going on my checkride, we're maybe 90 minutes late. So I get to sit around the apron in the sun and watch the little Schweizer 300's from Helicopter Adventures hover and flit around a few metres away (these things are loud), and talk with the previous candidate's instructor. That candidate -- a full-time student from Sierra Academy -- has just failed his instrument checkride, which doesn't make me feel so good, but his instructor's a nice guy, and very encouraging. Over the years I've had a bunch of personal connections to Sierra, but I don't really know anyone there now, especially since they moved away from Oakland airport. Mr Batchelder's checkrides are notoriously intense workouts -- as I'd been told, just one damn thing after another, with barely space to breathe -- but he tells me that even if I do something really badly, I should just keep pressing on unless he tells me to stop.... If I need to redo a checkride later, I'll only have to do the things I failed. Sounds good to me. So after the preflight we get in, and the blur begins: depart runway 32R VFR, a simulated Buchanan 7 departure with the REJOY transition, two times around an impromptu hold at REJOY followed by some unusual attitudes and other airwork in the vicinity, then straight on to the ILS RWY 2 into Sacramento Executive (KSAC), then go missed back to Sacramento VOR, then straight on to a partial panel VOR-A into Rio Vista (O88), then a circle-to-land for runway 25 at Rio Vista (luckily there's no one else in the pattern), a quick touch-and-go on 25, vectors from Mr Batchelder to a DME arc to near the final approach course for the GPS RWY 19R approach back in to Concord, then an autopilot-coupled intercept and approach (the GPS RWY 19R) to full stop at Concord. Or something like that. Several times duing the flight he barks at me -- "what do you think you're doing?!" or "where the hell are you going" -- things like that -- but this seems to be mostly an attempt to see if I can cope with being rattled, or to see how well I can articulate what I'm trying to do (and, in at least one case, it was because I'm about to make a stupid blunder...). I feel bad about it at the time, of course, but it's pretty effective. At other times he just sits back, looks out the window, and muses about the birds down there in the Delta or why we Brits (and others) call an autopilot "George". Departing Rio Vista he explains what he wants for the DME arc, and what follows is a comedy of errors as we both argue about how to set up the GPS to do what he wants. Basically, I say that the damn thing really can't quite do what he's asking for, and suggest setting it up for a much simpler method; he more-or-less agrees but still thinks it can be set up his way anyway with a bit of effort. 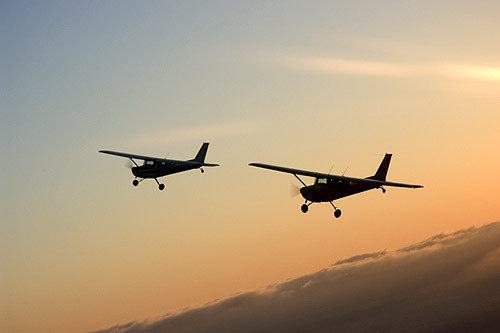 After a minute or so of to-ing and fro-ing 3,000' above the Delta like this I finally tell him we'll have to do it my way or we'll probably be out over the Pacific before we have anything set up at all. He basically agrees and lets me do my thing, which has the advantage of simplicity -- and workability. Again, it sounds bad now, but while it's happening it's actually quite funny, and he's gracious and good-humored about it as it's happening ("Hey, you're the boss!"). Similarly, he's quite happy to let me do my (non-standard) thing with the autopilot a few minutes later after I explain what I'm going to do, and why. So what went wrong? A lot of things... my altitude control was just terrible, I did two really bad landings, I circled the "wrong" way at Rio Vista (never mind -- there's really no "right" way there, given the stringent noise abatement rules, and I made it up on the spot as I came out from under the Cone of Stupidity), I got quite a bit to the left of course on the early stages of the partial panel VOR-A approach into Rio Vista (but corrected OK and kept -- just -- within PTS standards), I did a poor job of briefing the approaches, I was pretty rough with controlling airspeeds, and I really confused Mr Batchelder several times about what I was trying to do -- apparently it was far from clear what instruments I was relying on to identify a fix, for example (GPS? DME? VOR cross radial? ), and he thought several times that I'd made a mistake when I had basically changed instruments on the fly without informing him (that sort of on-the-fly change is not a smart thing to do). And what did I do right? Apparently, Mr Batchelder didn't have too many doubts about my basic safety, or that I knew what I was doing (or what should be done...), and that I had reasonable positional and situational awareness. That is, the basics were OK, if a little rough -- and when I got something wrong I apparently recovered quickly and smoothly. My radio work was also OK (as it should be at this stage...). Headings and clearances and the approach procedures themselves all went fairly well. The hold entry and the hold itself went OK, if a little rough. Despite the comedy of errors surrounding setting up the DME arc to the GPS approach back into Concord, I actually flew the DME arc just fine (no more than about .5 miles off the required distance), and I apparently did OK at staying on top of the GPS and the autopilot on the approach. As both John and Mr Batchelder have said, I need another bunch of hours just flying the system and getting better at everything without the unreal stress of checkrides and instruction before I attempt any real sustained flying in actual. I guess I already knew this, and plan on flying IFR in the system -- with or without the hood -- pretty much wherever I go for the next year or so anyway (I have a long-planned trip to LA (KSMO or KBUR) sometime April or May which will be ideal for this). And then a slow transition through small amounts of coastal stratus actual to the real thing. I'm actually looking forward to this, with a whole long Northern Californian summer full of coastal stratus just about to start. 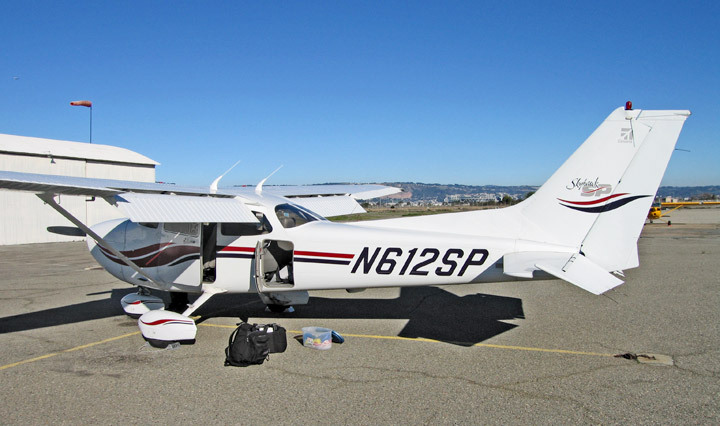 As with the private pilot certificate, basically nothing went wrong -- so once again, this isn't a Triumph Against The Odds sort of story, just a rather more realistic diary of trying to get an instrument rating in Northern California while also trying to keep a full-time business going. I didn't experience any major existential crises, any real problems in understanding procedures, any problems at all with disorientation in actual or under the hood, etc. -- i.e. nothing that would make this diary / blog really interesting.... The main problems were (predictably) external: getting time away from my business, and, towards the end, having to be ruthless about my finances. Nothing insurmountable, but if you're committed to getting the rating, having a life that's constantly changing around you probably isn't the best way to arrange things (understatement). Was the rating the hardest thing I've ever done? No, not even close. Nothing has so far been harder than the honours year of my undergraduate degree, or sustaining some of my relationships over the years. Even the checkride wasn't as intense as doing the honours exams (oral and written), or as difficult as the stand-up graduate studies interview in front of the committee at the LSE all those years ago. But both the checkride itself and the year or so of training were definitely draining and difficult, and a fair bit harder in some ways than my initial private pilot license experiences. The rating took pretty much the amount of effort and time I expected it to -- I'm no prodigy or over-achiever, and didn't do it in minimal time -- but I'm a little disappointed not to have been able to get it all over and done with last year before I had to go to Australia. No big deal, but it would certainly have made the last few months a lot easier by not having to cope with the rating as well as a new job, growing business, etc. etc. I'm glad I did the past few months mostly in 2SP -- the combination of a stable, well-rigged and powerful (180HP) plane with a GPS and autopilot made it a great platform for learning some real-world IFR. I thought that maybe I was biting off more than I could chew, or that maybe a DE would mark me down for having all the extras that any Real Pilot would do without. Quite the contrary -- Mr Batchelder said he cut me some slack for turning up in the sort of plane that you really might fly single pilot in IMC, and for knowing how to use the GPS and the autopilot on the fly and with changing clearances (he has a gentle rant about some of the planes he's seen being used for instrument checkrides and the unreality of learning in something like them). The extra effort and time to become at least somewhat fluent in both was definitely worth it, and I'd recommend it for anyone out there wondering about the issue. And finally -- my choice of instructor turned out to be excellent. I'll have much more to say about John in a separate article, but for now, let's just say I've generally been blessed with good instructors, and John's obviously the main reason I got through it so smoothly. A leisurely trip in 4JG through the twilight to Modesto (KMOD) with Boyan (my sometime flight-share partner) and back. I fly out, under a proper filed IFR flight plan -- my first as a certified gen-u-wine IFR-type pilot thing -- and Boyan flies back VFR. Boyan's curious about what a Real IFR flight's like, and I do it without the Cone of Stupidity so I can answer his questions. Everything is utterly straightforward and predictable, but I'm still somewhat nervous -- which is ludicrous, but there you are. A severe clear VMC evening, little-to-no traffic outside the main airways, a bunch of laid back Northern Californian controllers doing their competent thing with humour and grace, and a flight through Yet Another Boring Bay Area Sunset. 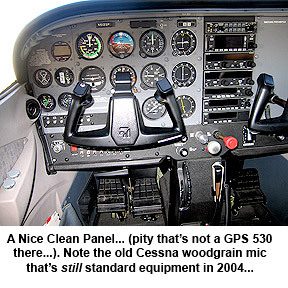 Flying 4JG again after 2SP brings home just how much better the Garmin 530 can be than 2SP's KLN 94 -- not just the bigger display, but the interface still seems friendlier, or at least less prone to inducing user error. It's still not friendly -- will there ever be a GPS unit that's as simple to use as an OBS or HSI? -- but somehow I make fewer errors setting it up and changing it on-the-fly (inevitably we didn't actually fly any of the original clearance beyond the initial departure vectors -- we got cleared direct Modesto within five miles of Oakland...).